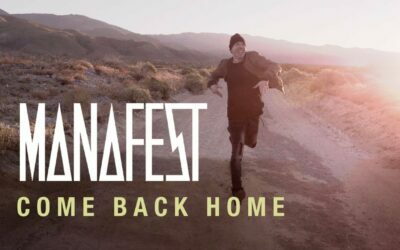 BMG recording artist Danny Gokey is set to make his highly anticipated return with the extraordinary new album, Hope In Front Of Me. The album, which includes the current chart-climbing single, “Hope In Front Of Me,” arrives on June 24th. Acclaimed singer, author, and American Idol favorite, Danny Gokey made an indelible first impression with 2010’s record-breaking debut album, My Best Days. Now, after four years of creative development and production, the multi-talented artist/performer is ready to unveil his stunning second album, a moving and deeply personal collection that marks an immense leap forward in craft, performance, and emotional impact. Described by Gokey as “songs of hope and entertainment,” Hope In Front Of Me sees him joining forces with some of today’s most honored songwriters and producers, including award-winning “Producer of the Year” Bernie Herms (Natalie Grant, Casting Crowns, Barbra Streisand, Andrea Bocelli), multiple GRAMMY® Award-winner Keith Thomas (Amy Grant, BeBe & CeCe Winans, Heather Headley, Vanessa Williams), and Josh Crosby (Cher, Owl City, Matt Kearny). 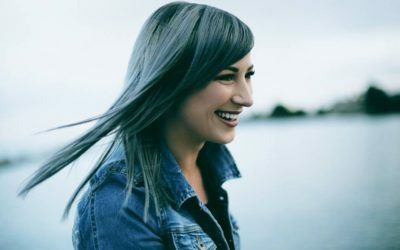 Resonant with hard-earned soulfulness and redemptive compassion, the album confirms Danny Gokey as a groundbreaking artist with a rare gift for deep connection with audiences everywhere. “Hope In Front Of Me” is currently ascending the top 30 at Christian radio outlets nationwide. Co-written by Gokey with chart-topping tunesmiths Bernie Herms and Brett James (Taylor Swift, Carrie Underwood, Jason Aldean), the track is available now on the iTunes Store and other digital retailers. What’s more, a behind-the-scenes look at the making of “Hope In Front Of Me” – along with a bounty of video clips and live performances – is streaming now at Gokey’s official YouTube channel, www.youtube.com/dannygokey. Gokey has made a wide range of high profile media appearances in recent months, including a stellar rendition of the National Anthem at Brooklyn’s world famous Barclays Center. In addition, he has paid visits to radio stations across the country as well as such TV outlets as FOX Good Day, REELZChannel’s OK! TV, The Better Show, and TBN. Additional appearances are slated through the spring – please see www.dannygokey.com for more. 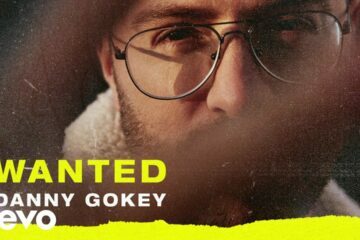 A top 3 finalist on the eighth smash season of Fox’s American Idol, Gokey instantly earned popular acclaim as a vocal master blessed with the uncanny ability to turn any song into a compelling moment. Tragically, his soulful performances were fueled by unimaginable loss, his beloved wife Sophia having passed away just four weeks prior to his taking the Idol stage. With his rich vocals and undeniable charm, Gokey soon entered the record books as the first-ever male American Idol contestant to sign with a major country label. His debut album, My Best Days, quickly followed, making music history once again with a top 4 entrance on Billboard’s “Top 100 Albums” chart – the best opening week for a debut album from a male country artist in almost two decades. Gokey is also active on an array of other fronts, including his role as founder of Sophia’s Heart. Named in honor of his late wife, the organization’s goals are to provide hope and help to homeless families, provide scholarships to deserving students, and operate a thriving inner-city music and arts program. Opened in late 2011, the 77,000 square foot Sophia’s Heart facility in Nashville has helped rescue over 60 families from life on the street. For details, please see www.sophiasheart.org. Furthermore, Gokey has also teamed with Match Eyewear for the Danny Gokey Eyewear collection, embodying the soulful, playful attitude that defines him and his music. The Danny Gokey Collection models are a modern interpretation of vintage charm, speaking directly to the classic, genuine and unique style of Gokey’s distinctive brand and delivering contemporary cool to men and women between 18 and 35. Launched in March 2012, the collection has exceeded sales projections with over 1.7 million in net retail sales. For more, please visit www.matcheyewear.com.